Place the bread slices on a board and butter them. Top half of the slices with a spoonful of cranberry sauce. 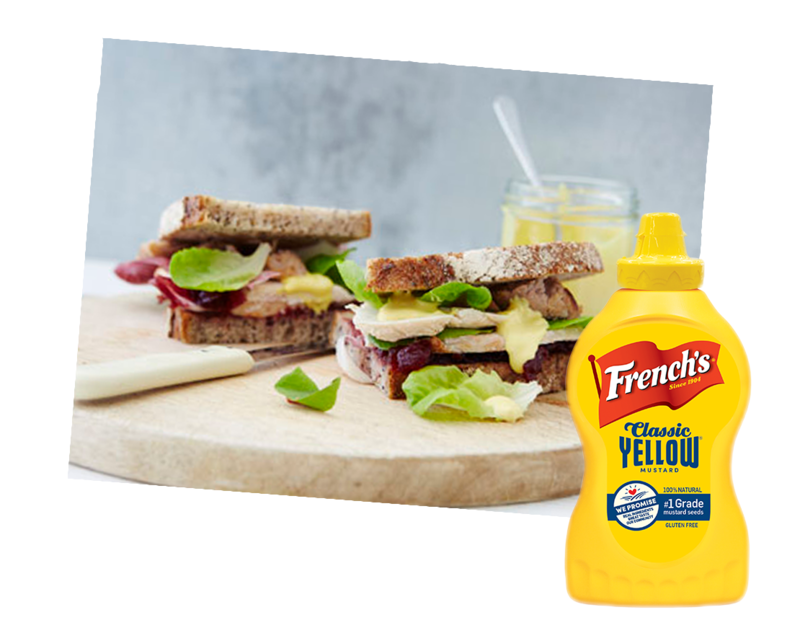 Finish with several large squirts of French's Classic Yellow Mustard and then top with the other slices of bread.